The AVG-50 works with SD analog composite video and generates standard SMPTE VITC time code and inserts it into the first few lines of active video rather than into the vertical interval where normal VITC is located. This allows the VITC time code to be recorded on various digital video recorders that record the picture content but do not record the actual vertical interval portion of the video signal and in this way allows you to use these digital video recorders to record high quality video and VITC time code. 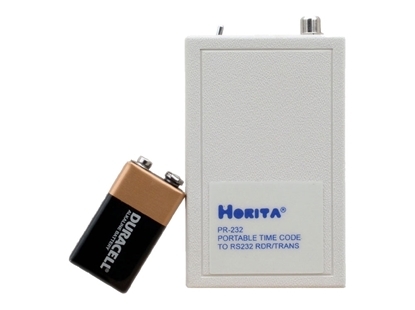 The palm-sized PR-232 is a SMPTE time code reader that is powered from the PC serial port and reads and translates SMPTE time code into standard RS-232 serial data. Included is the HORITA PC-LOG™ time code based logging program and the MTG-TIME program which locks your PC time and date to SMPTE time code time and date. 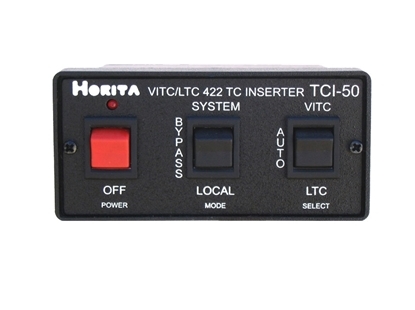 The TCI-50 provides time code and user bit data to systems that use RS-422 controlled playback devices that do not have built-in SMPTE time code capability. 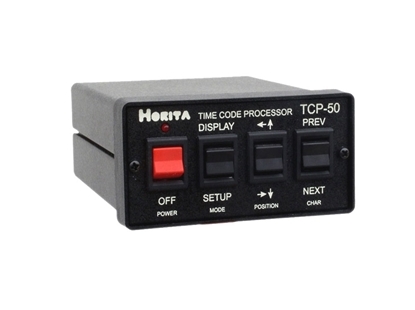 The TCP-50 is a universal SMPTE longitudinal time code processor that provides a variety of needed time code processing functions to keep up with the changes and requirements of dealing with multi format longitudinal time code. 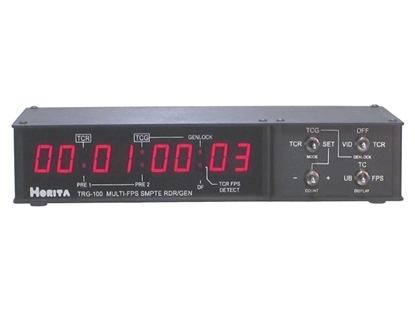 The TR-100 is a SMPTE time code reader featuring an adjustable brightness 0.8 inch LED display. The brightness control allows comfortable use in bright light or in a dimly lit studio, while the 0.8" character height is good for up close or across the room viewing. 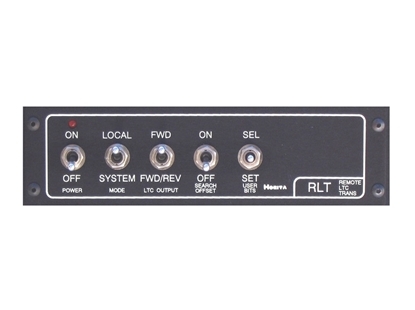 The TR-100 also translates LTC time code into MIDI Time Code (MTC) for use in the audio/video workshop. The TR-100 controls are located in the back for an uncluttered display of the time code value. The TRG-100 is a multi-frame rate SMPTE time code reader/generator with an 8 character red LED display suitable for installation in a studio, video production room, large or small editing suite or in a laboratory or test situation. It can both read and generate time code for SD and HD video frame rates and its small desktop size lets it sit conveniently on a desk top, or be rack or wall mounted. 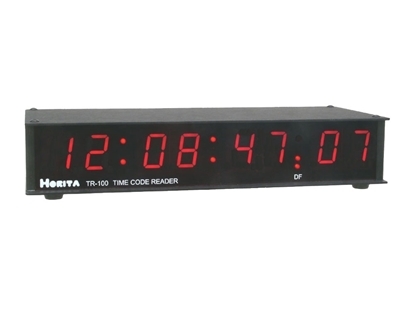 The time code reader can discern between 23.976 and 24 FPS (Frames-Per-Second) time code and between 29.97 and 30 FPS time code and displays the true frame rate. Operation is very simple and is controlled from four front panel switches. 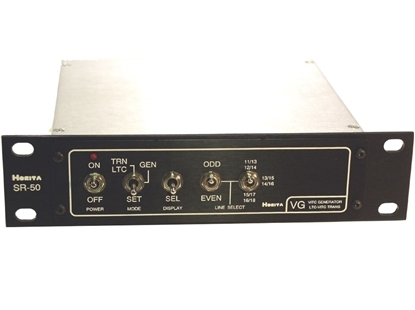 The VG-50 is a small, desktop sized combination SMPTE VITC time code generator and LTC-to-VITC time code translator. It's operates with SD analog composite video and is ideal for use to add VITC to a copy of an analog video recording or to add VITC time code to a blackburst reference signal. It has an "On Screen" display of either the time code or the user bits (or OFF) and the display also has a "Phase Meter" which shows the relationship between a SMPTE LTC time code input and the associated video input. 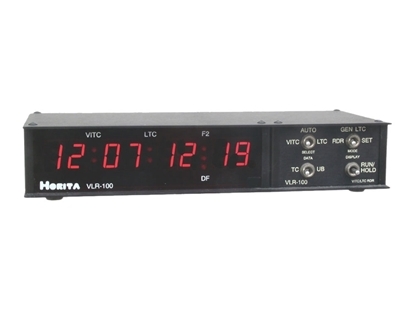 The VLR-100 is a combination high speed LTC and VITC SMPTE time code reader with 0.56" high 8-digit LED display characters. It's small desktop size and convenient front panel switches make it ideal for use in the studio, video production room, remote van, or laboratory. 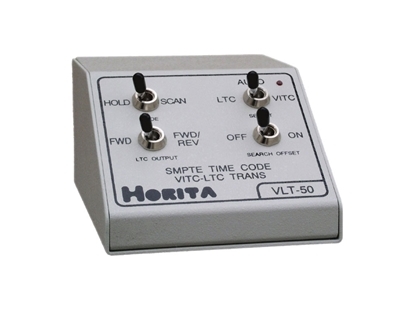 The VLR-100 is a combination high speed LTC and VITC SMPTE time code reader with 0.56" high 8-digit LED display characters and an RS-232 interface. It's small desktop size and convenient front panel switches make it ideal for use in the studio, video production room, remote van, or laboratory. The VLT-50 translates SMPTE VITC time code into SMPTE longitudinal time code. When used with video tape players it operates throughout the shuttle search speed range to read and translate the VITC time code into LTC. The LTC generator is genlocked to the input video. 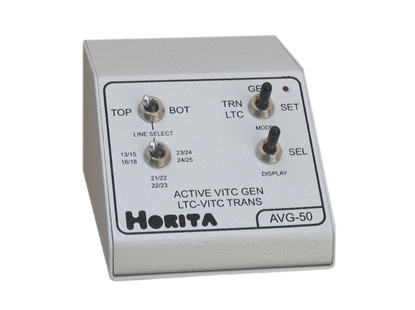 The VLT-50 accepts an LTC input to route to the LTC output should VITC become unavailable.